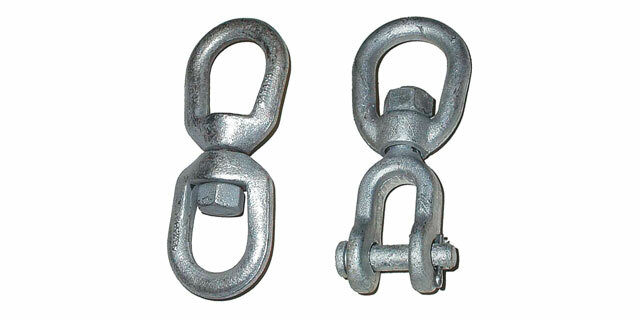 Eye to Eye Connectors are the standard Chain Swivel used in many applications. 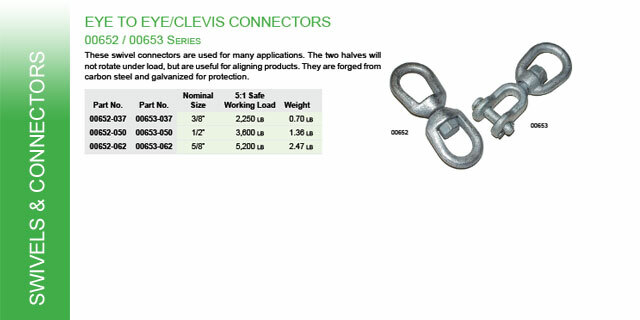 The two halves will not rotate under load, but are useful for aligning products. 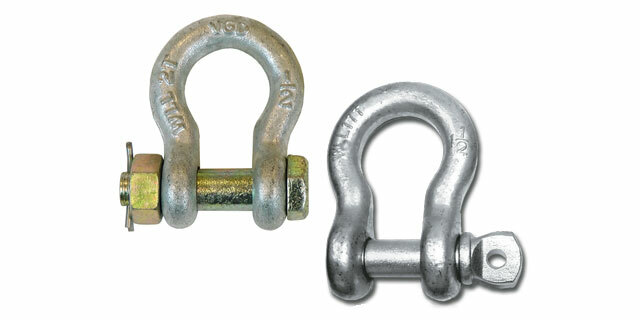 They are forged from carbon steel and galvanized for protection. 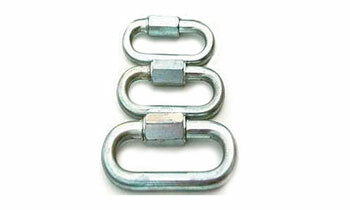 Ultimate load is 5 times Safe Working Load. 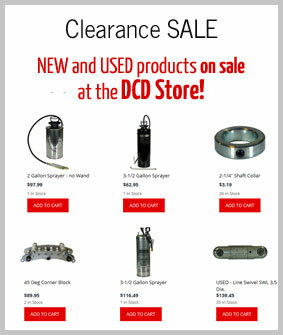 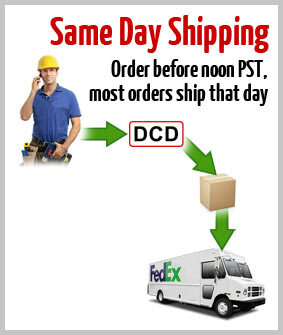 DCD shackles provide a low cost, economical means of connecting two products together. 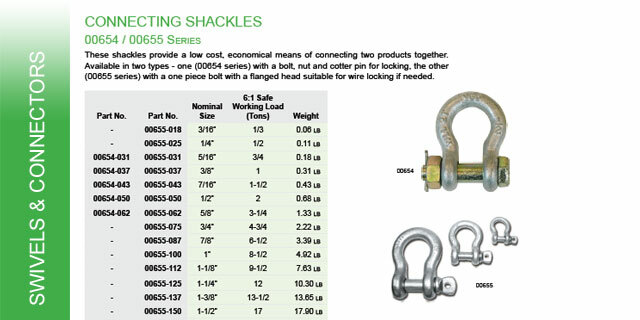 Available in two types - one (00654 series) with a bolt, nut and cotter pin for locking, the other (00655 series) with a one piece bolt with a flanged head suitable for wire locking if needed. 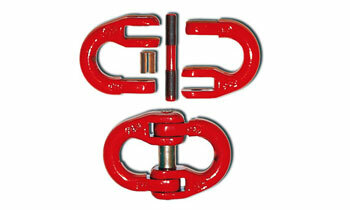 Ultimate load is 6 times Safe Working Load. 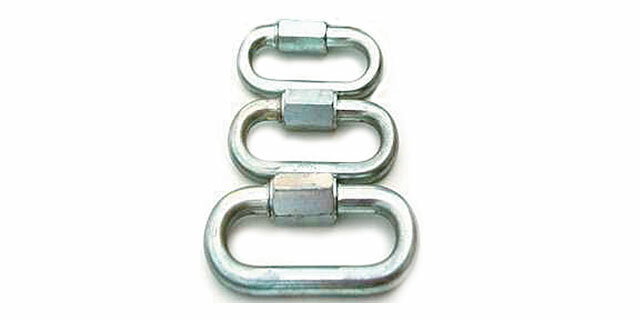 The Chain Link Connectors are useful and easy to insert in any pulling line. 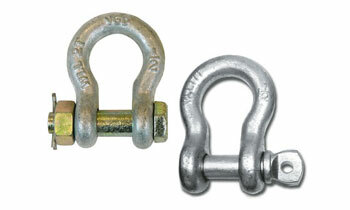 They allow easier bending of a Pulling Eye or other rigid component when going around bends or sheaves. 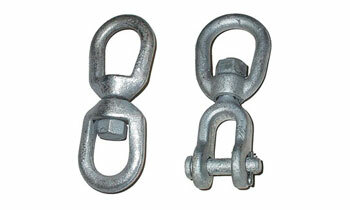 These high quality products are manufactured with Grade 80 steel. 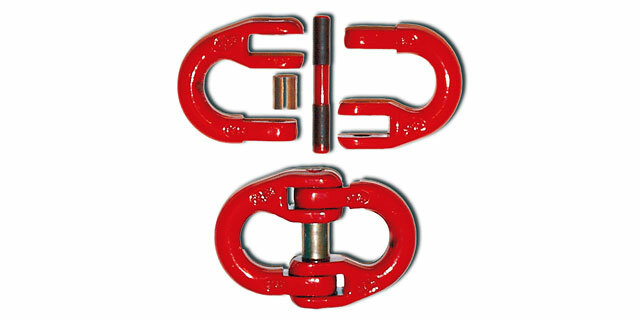 Safety Factor is 3:1. 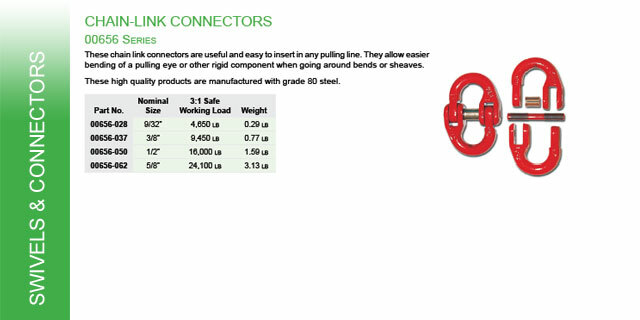 The Quick Link Connectors are protected against rust and corrosion, with a safety factor of 2:1 on horizontal pulls only. 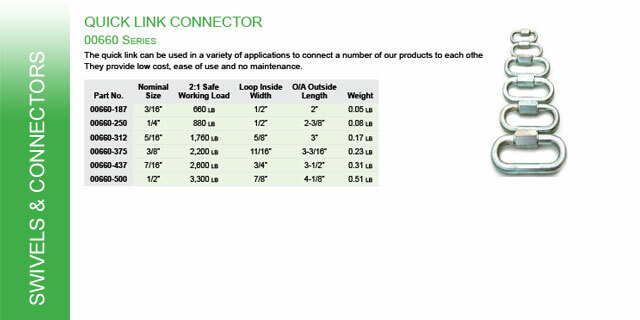 The Quick Link can be used in a variety of applications to connect a number of our accessories to each other. 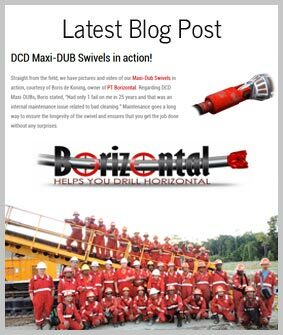 They provide low cost, ease of use and no maintenance.